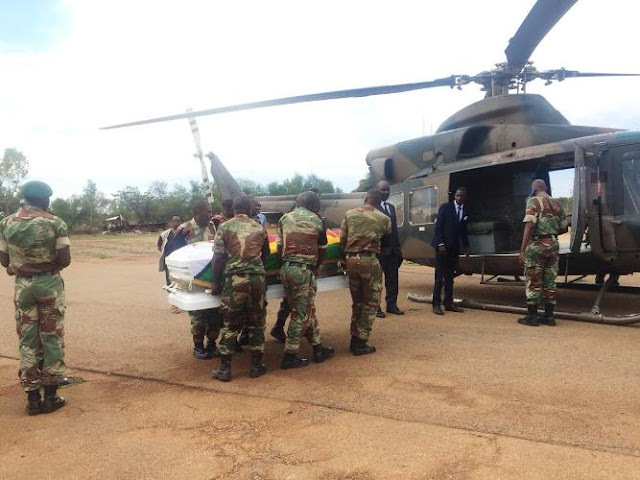 The body of the late national hero Professor Phineas Makhurane has now been flown to his homestead in Gungwe, Gwanda South. Earlier on, the National University of Science and Technology (NUST), the institution he nurtured as the founding Vice Chancellor, hosted a farewell funeral service for the late national hero. The body was seen off by Minister of State for Matabeleland South Cde Abednico Ncube. Professor Makhurane will be buried tomorrow at his homestead in Gungwe, in line with his request. Gungwe is under Chief Mathe.